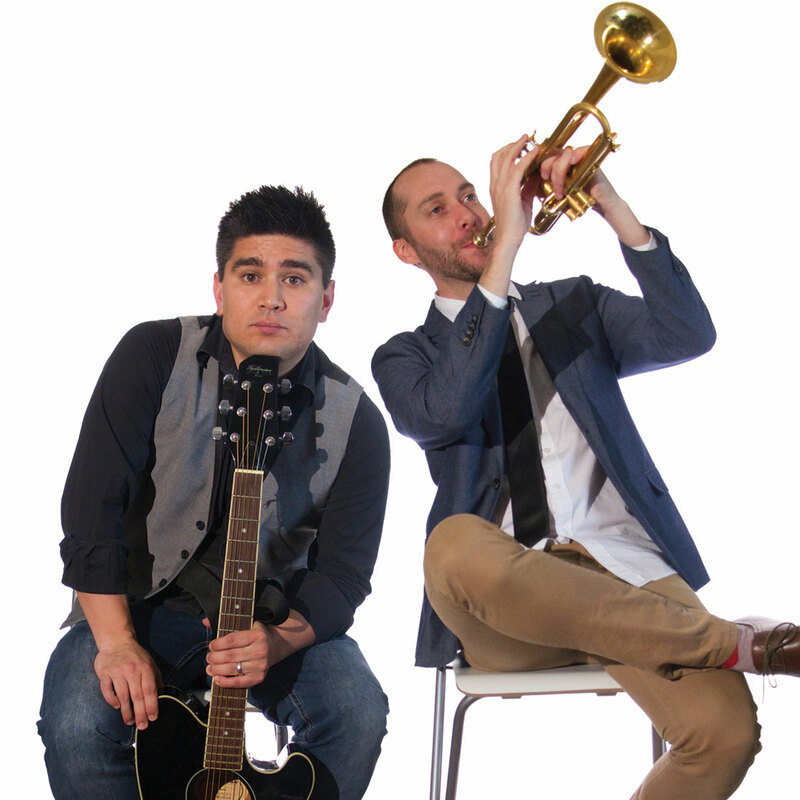 Adelaide comedian Jason Chong (Nova, The Project) has teamed up with musician Chris Weber (Hilltop Hoods, The Transatlantics) to create Blowhards, a show with music, comedy and bingo. Chong is so natural on stage, often using self-deprecating humour to get the audience onside before hitting them with his sharp, improvised wit and cleverly written routine. He plays guitar and sings to his audience about being Asian, his comedy pet hates, and sexting misfortune. There’s also a bit of language bingo for fans of a little competitive gaming. Weber is a talented brass musician who accompanies Chong on trumpet and trombone, complementing the comedy and adding his own comic interludes. The pair work really well together; they bounce jokes off each other creating charismatic dialogue which moves the show along nicely. Blowhards provides constant chuckles and some great belly laughs; the beauty of it being in the variation of the comic delivery. Being a musical duo who write satirical songs has been done before, but using an accomplished brass musician who uses his instruments to provide comical sounds and amusing intervals is delightfully original. Check out Blowhards for some musical enjoyment, lots of giggles and a spot of bingo.